Mikhail Kalatozov’s wildly mobile, hallucinatory film was initially rejected by both Cuban and Soviet officials for excessive naiveté and an insufficiently revolutionary spirit, and went largely disregarded and almost unknown for nearly 30 years. That all changed in the early nineties—a remarkable era in film culture, chock full of rediscoveries—when Tom Luddy programmed it at the Telluride Film Festival, and Martin Scorsese and Francis Ford Coppola co-presented a Milestone Films release. 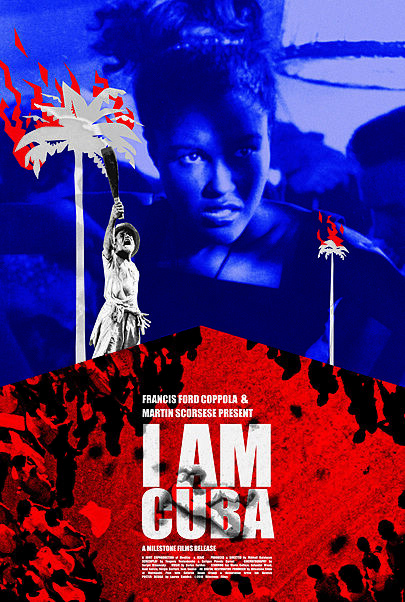 I Am Cuba is a one-of-a-kind film experience, a visually mind-bending bolt from the historical blue. A Milestone Film & Video release.